My mom used to make me a Chinese version of poached pears when I would get sick as a child. Well, it was actually more like pear soup. If I remember correctly, she would slice juicy asian pears into strips and cook them in some water and just a little sugar until the whole apartment smelled deliciously fragrant. I would eat the pears, drink the poaching liquid, and even though I don't think it made me physically better, I always felt better after. The western version of poached pears is much sweeter, but I thought I would split the difference since I'm not a huge sugar fanatic. I also added a cinnamon stick since I love cinnamon, but it would be great with some vanilla bean seeds or a squeeze of lemon as well. I saw seckel pears at the farmers market and they were too cute to resist, but they are a huge B to peel just from the sheer number. Not to mention that it's hard to hold such tiny things in your hands and peel them without peeling your knuckles off. I had little pears flying out of my grip and across the kitchen more than once. Totally worth it though, just remember to be careful. If it takes you the good 20 minutes it took me, to keep the pears from turning brown while you peel each successive one, squeeze the juice of a lemon into a large bowl of cold water and transfer peeled pears to the bowl as you finish the rest. 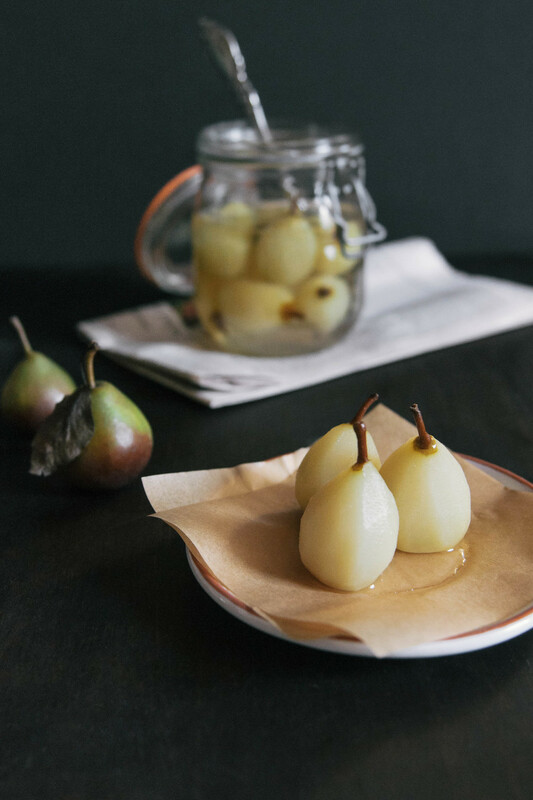 Bosc pears would make an excellent substitution if you can't find (or don't want to peel a gajillion) seckel pears. Simply cut them into quarters and remove the core. In a 1.5 to 2 quart saucepan, add water, sugar and cinnamon stick. Dissolve sugar over medium heat. 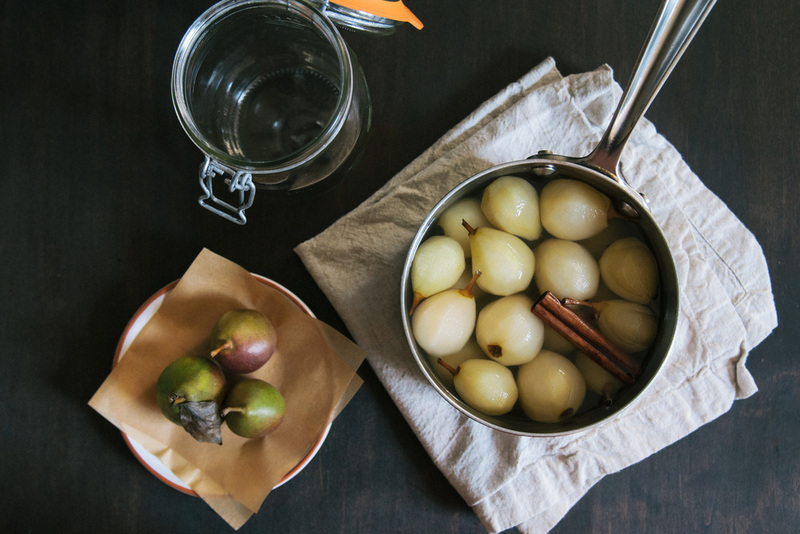 Add pears, making sure they're completely submerged, and cook at a gentle simmer, partially covered, for 15 to 20 minutes depending on their size and level of ripeness. Turn off heat (don't worry if they don't look completely done, the pears will continue cooking/softening as they cool), remove from burner, and let cool in the poaching liquid. The pears can be served warm, at room temperature, or chilled. I personally prefer warm with some vanilla ice cream!